Without any formal ties to a university, pianist/composer Keith Kirchoff offers a unique perspective on ways to make a meaningful impact as a freelance musician. Pianist and composer Keith Kirchoff has performed throughout North America, Europe, and the Pacific Southwest. A strong advocate for modern music, Kirchoff is committed to fostering new audiences for contemporary music and giving a voice to emerging composers, and to that end has premiered over 100 new works and commissioned over two dozen compositions. Specializing on works which combine interactive electro-acoustics with solo piano, Kirchoff's Electroacoustic Piano Tour has been presented in ten countries, and has spawned three solo albums. 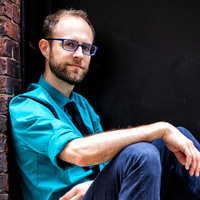 Kirchoff is the co-founder and a director of SPLICE and the founder and Artistic Director of Original Gravity Inc. Kirchoff has won awards from the Steinway Society, MetLife Meet the Composer, the Foundation for Contemporary Arts, and was named the 2011 Distinguished Scholar by the Seabee Memorial Scholarship Association. He has recorded on the New World, Thinking outLOUD, Zerx, Ravello, Tantara, New Focus, and SEAMUS labels.